I have spent the last 20 years of my life building my tool box. When I was first starting out buying tools, tool sets were the place I started. Getting 200+ tools all together is a great place to start. 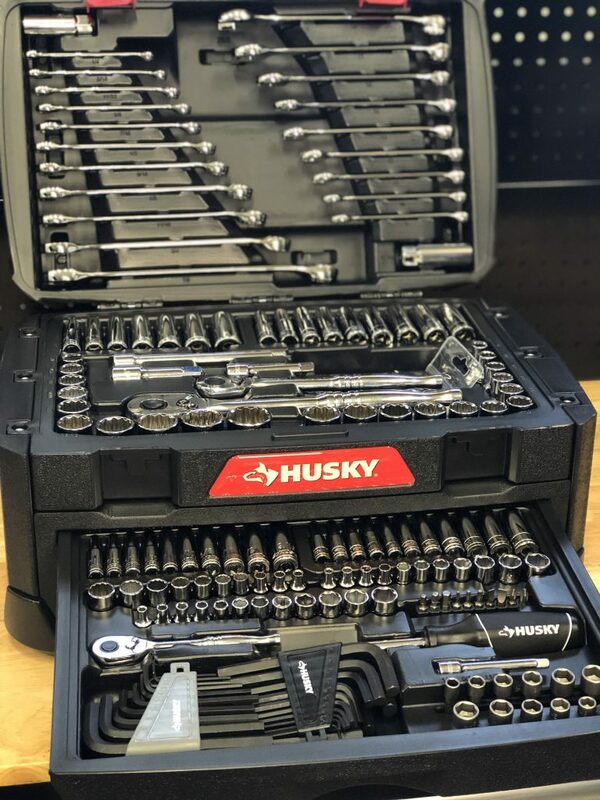 Today we are going to look at the Husky 268 Mechanic’s Tool Set with storage box. The world of entry level tools has changed so much since I started buying tools. Years ago the stuff at this price point was absolute junk. Today you can get some good quality tools, and the best part, they have a lifetime warranty. You can just run them by The Home Depot and they will swap it out for ya, no questions asked. Unlike some other stores that would give you a crazy hard time about exchanges. I guess there is a reason that store is no longer in business. To me service after the purchase is very important. That holds true for the tools I make a living with, the tools I enjoy my hobby with, and the ones I use to fix the house. Let’s get into the tools! I mean that is why we are all here right. This set comes with 268 tools. A selection of 1/2 drive, 3/8 drive, and 1/4 drive. As a VW tech my goto drive was always 1/4 due to the tight spaces we have to work in. You get 39 deep well sockets, 129 standard depth sockets, 30 wrenches 3 ratchets, and about 60 bits and Hex Keys. They all come nicely set in a molded case with storage on the lid, and two drawers. The different drives are separated into different drawers. The drawers are also removable so you can take them out and bring them to the work site if you don’t need the whole box. 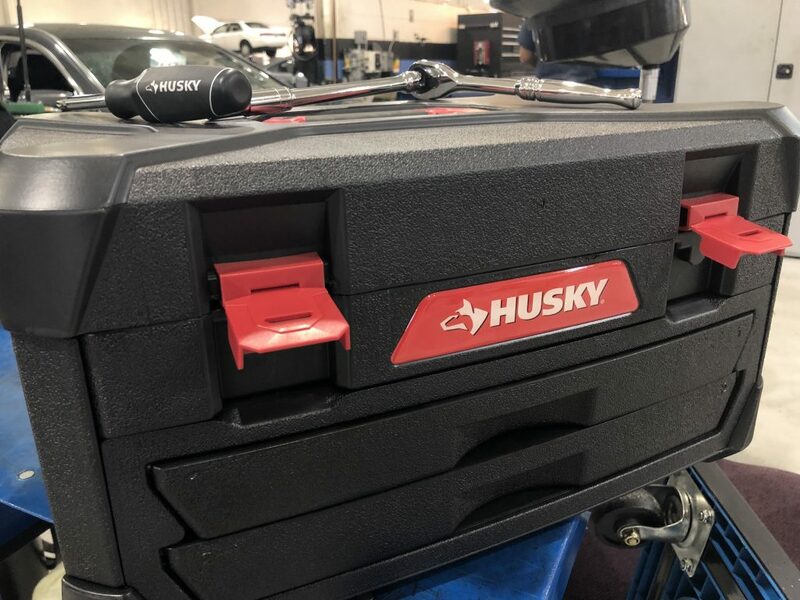 Now if you are a mechanic that works on all makes and models, and does every repair on all lines of cars, this tool box is not going to be everything you need. I have yet to find a “tool set” that is. But this can be a great place to start. I snapped this picture at a local dealership where the service express guy had the exact box. After a quick chat he said this gets done 85% of what he needed and he supplements the rest. I’d much rather new techs start out with this than a $5,000 tool truck bill. The tools themselves are a good value and have held up to some abuse by me. I am not easy on the tools that I own, no matter the price. I have yet to break any Husky hand tool now that I think about it. I see this set being a great place to start building your tool collection, or for a second set of tools to keep in the truck tool box. For me this set will be going out to the shed so I don’t have to run back and forth to the shop for a socket. As with anything, it’s worth running by your local Home Depot aka HomeDepot Motorsports and putting the tools in your had. 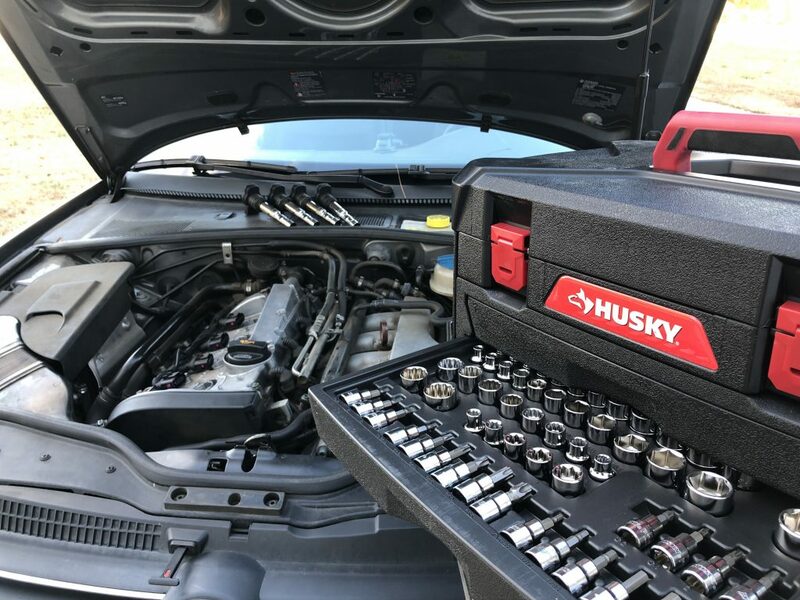 The $15 ratchet from Husky may not feel the same, or give you “tool box cred” like the $150 tool truck brand. But It can get the job done and save a TON of money. Overall this is a solid kit and a good value. 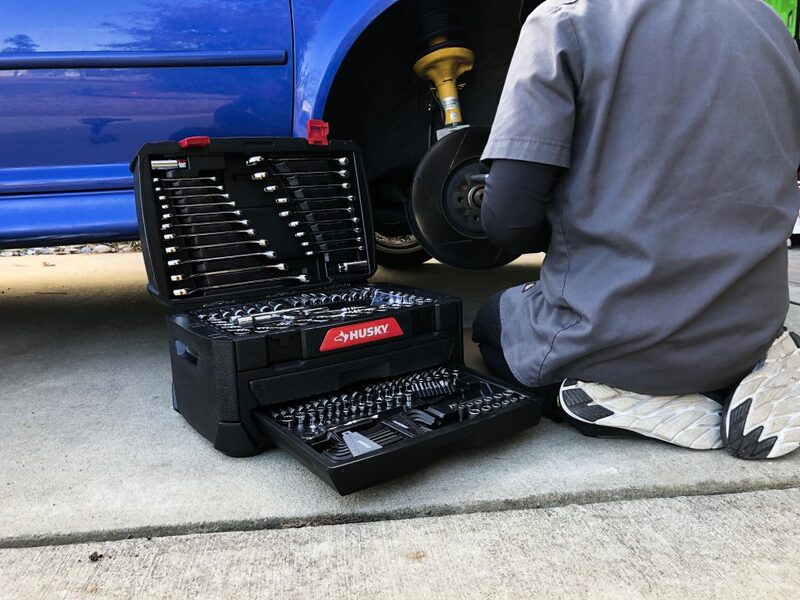 It’s hard to go wrong with a set of tools and a lifetime warranty. The main concern I have about this set, is what I have about all sets, the filler tools. I don’t really need 40 hex keys, and a bunch of bits. Even with that, I still think this is a good set of tools for the money. 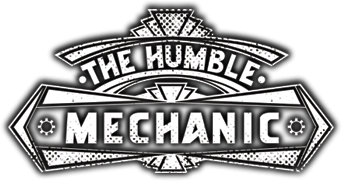 It’s not going to cover every repair or project you will ever do, but I see them as a great starting point for your tool collection. This type of set is almost exactly what I started buying when I was first buying mechanics tools.